What happens to us when we die and our bodies are returned to the welcoming embrace of the earth? Do our spirits move on to a better world or might they linger for a time in an alternate dimension? These are questions which haunt our hearts and minds; questions which take on a particular relevance at Grass Valley’s historic Holbrooke Hotel where ominous hallways echo with voices from the past and locked rooms harbor persistent spirits where, in life, they once found love, celebrated life and wagered all on the turn of a card. 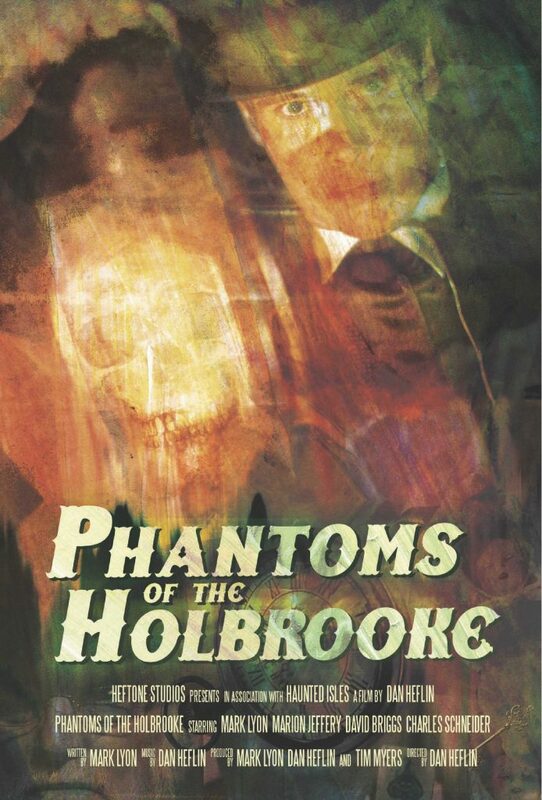 The answers may, perhaps, be found in the eerie secrets to be discovered within what just might be the world’s most haunted hotel; secrets which are exposed in Phantoms of the Holbrooke, a gripping docudrama which received an enthusiastic response at both the Sacramento International Film Festival and the Nevada City Film Festival and is now available on DVD. Directed by the award-winning filmmaker and composer, Dan Heflin, and written and narrated by Haunted Nevada City and Grass Valley tour creator, Mark Lyon, the film weaves together dramatizations of true accounts of ghostly encounters with the tragic story of 46-year-old Cornish miner, Jack Martin’s, 1927 stay at the Holbroooke, shining light not only onto the hotel’s history but also exploring the question of why its many ghosts remain within the venerable hotel’s precincts.